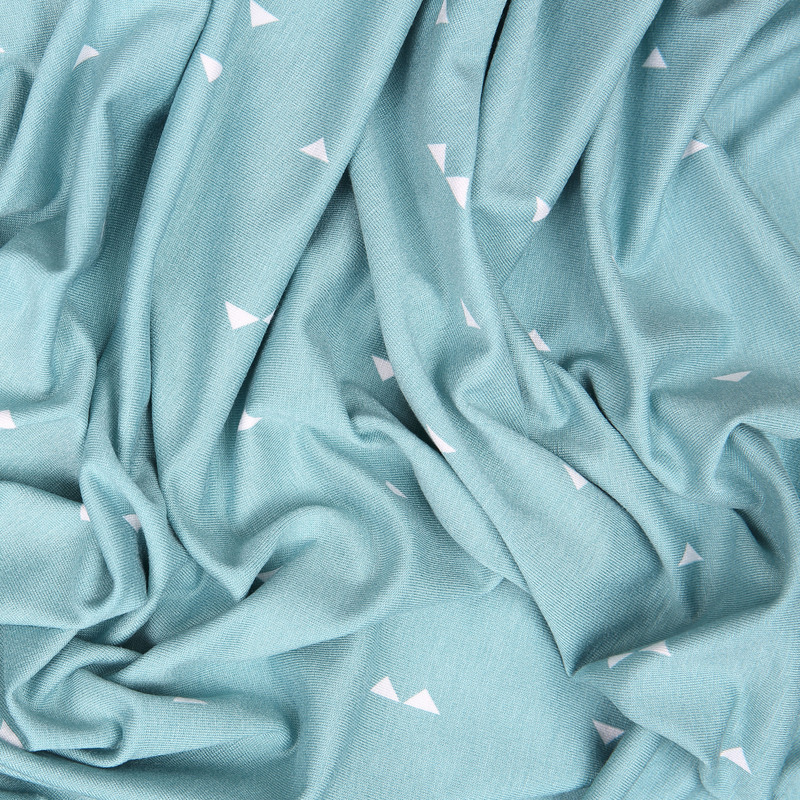 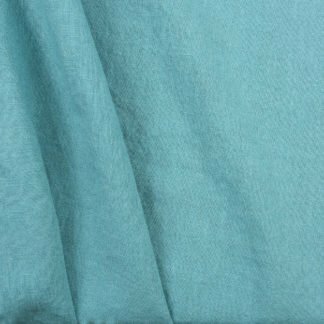 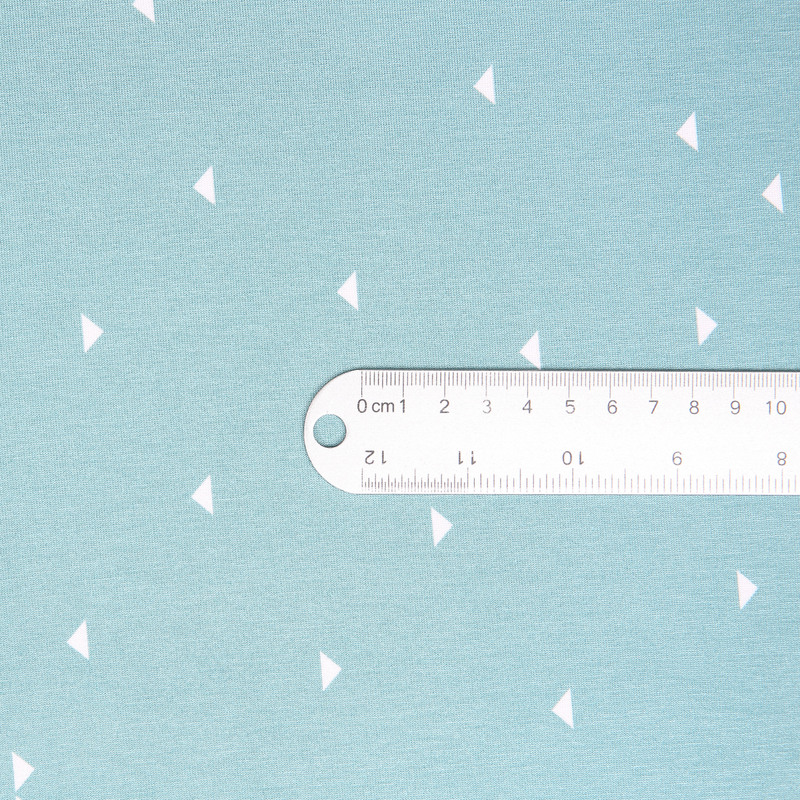 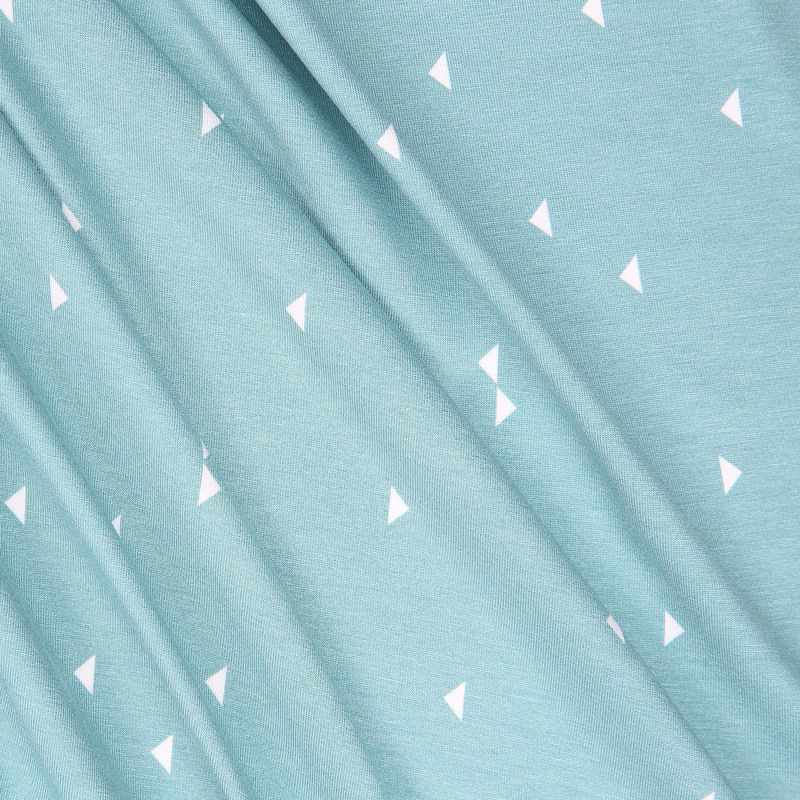 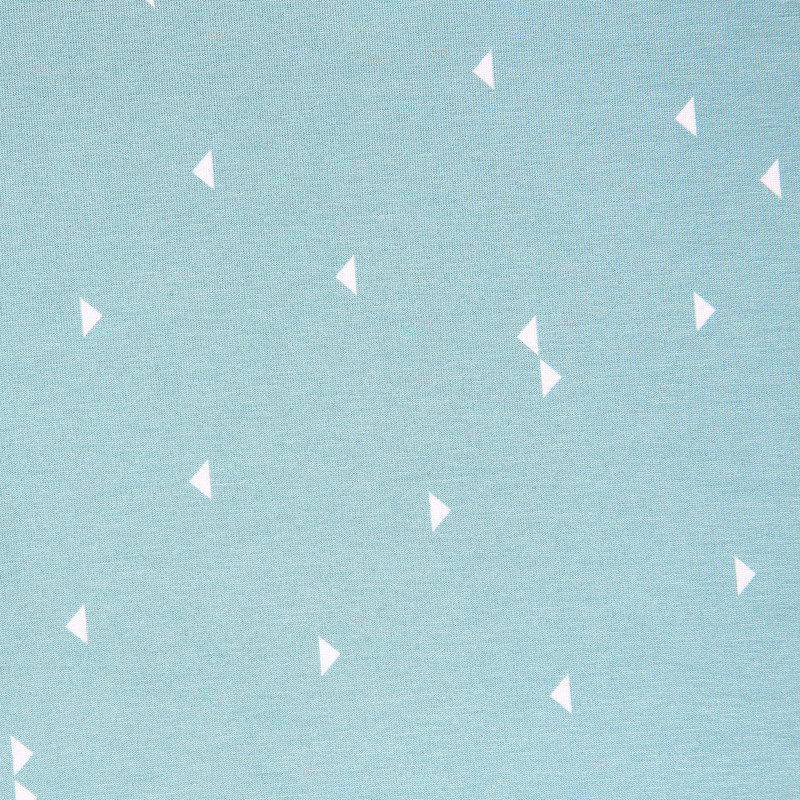 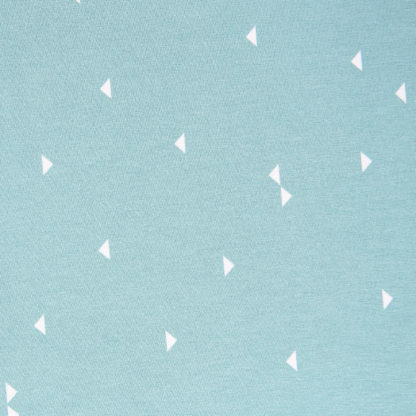 A lovely viscose jersey in duck egg blue with little white triangles scattered across the fabric. It is perfect for tops, cardigans and a light tunic dress. 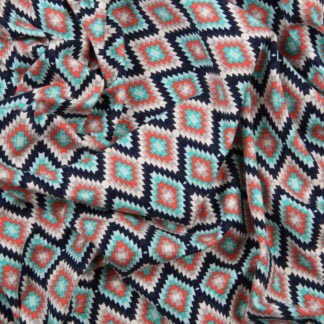 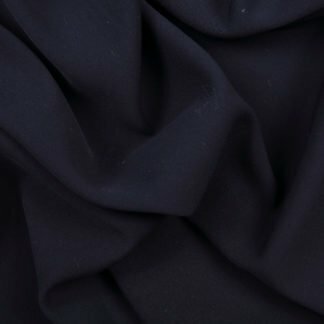 Viscose jersey works perfectly in many pattern designs giving good drape and is very effective when paired with twisting or gathered looks such as origami-style tops.